Robert Sabuda is a gifted artist who has experimented with many forms of illustration. 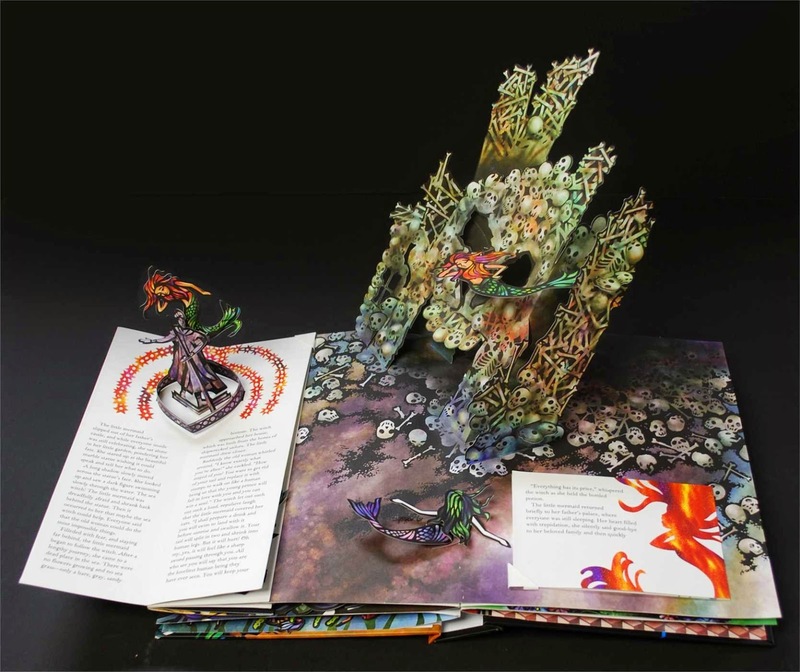 His most notable body of work centers around pop-up books. His mastery of pop-ups and movable paper is remarkable. Sabuda, born in 1965, is a native of Michigan who attended the Pratt Institute in Brooklyn, which is known for architecture, interior design, and industrial design fields of study. Sabuda gained recognition for his pop-up books starting with his first in 1994, The Mummy's Tomb. The pop-up book themes are geared toward children, but seeing a young child with one of Sabuda's pop-ups will make you cringe in hopes that nothing will be damaged. Everyone can appreciate the beauty of his creations. The detail and his artistry is truly amazing. Typically every page has a primary pop-up and 1 or 2 pop-ups on the side to contribute to the story. His latest pop-up is The Little Mermaid. It brings the under-the-sea tale to life! Sabuda's Encyclopedia series is very educational, but please don't let your children abuse them. We have "Winter's Tale" in our personal collection which we bring out once a year with all our other Christmas decorations. The pop-up's in this book are all in white except for the last page which includes colored lights that brighten the snowman's house. We have a few Christmas cards from his collection as well. 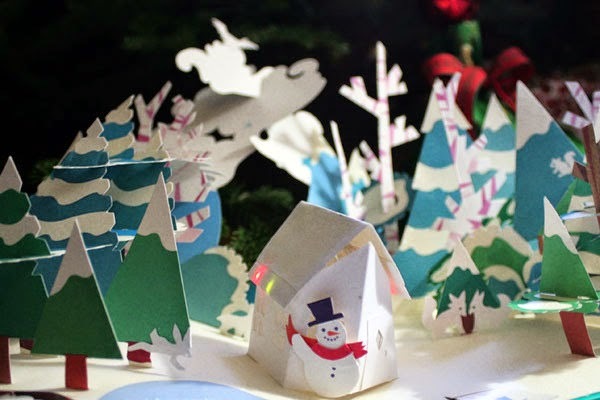 I love Robert Sabuda's pop-ups and love to share them with our seasonal visitors.